The kitchen windows frame a view of the Pacific Ocean at this Pacific Palisades Estate. Bespoke cabinets in American Walnut are finished with white bronze hardware and paired with deep green granite counter tops. Hand made and glazed artisan tile flooring expands into the conservatory. 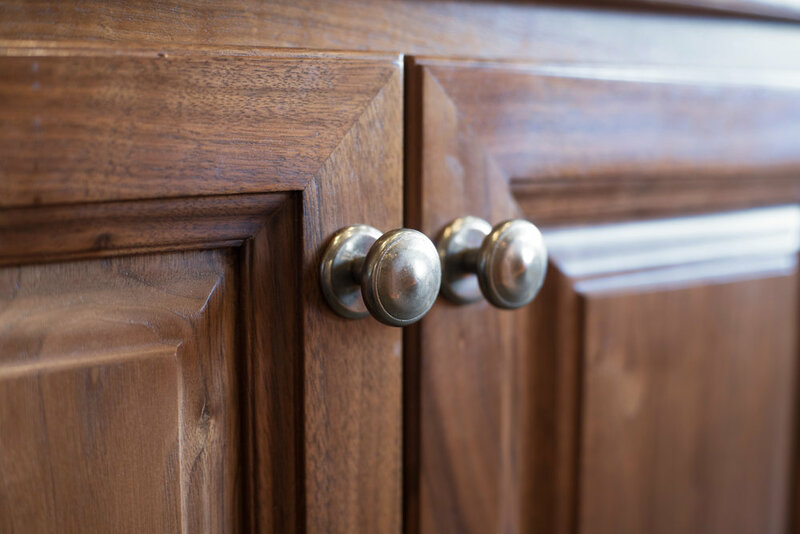 The soft angles of the American Walnut kitchen cabinets guide the entry to the adjoining dining room. Sarah Barnard designed a one-of-a-kind hood in bronze to pair with a Bertazzoni Heritage range. The Bertazzoni Heritage range provides high performance and a traditional aesthetic. An antique Japanese teapot rests on the range. American Walnut cabinets, handmade ceramic backsplash tile and deep green granite countertops make a hardworking kitchen elegant. The original oak coffered ceiling was restored to complement the bespoke American Walnut kitchen cabinets. The center island is outfitted in deep green granite with satin nickel plumbing fixtures by Rohl. 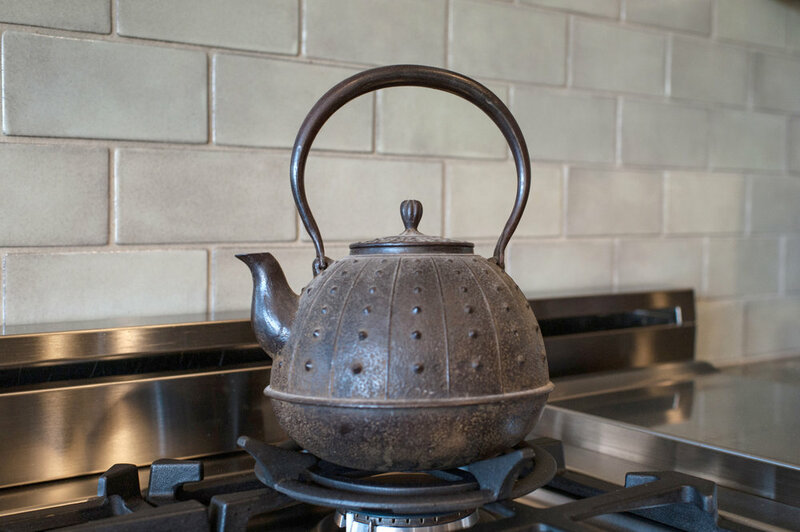 Three by six inch backsplash tiles were handmade for the kitchen in an ash gloss glaze.